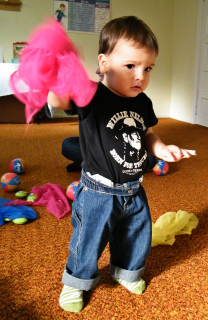 Thank you for choosing Tunes4Tykes for your child’s musical development! Below are class studio policies that will be helpful to you when you are enrolled in our studio programs. While Tunes4tykes is not responsible to repay you for sessions missed by your child, I would be more than happy to reschedule a make-up time at your request. Make-up classes must be scheduled through me, in order to carefully maintain class sizes and minimize disruption to the sessions. Simply call or email to do so. Classes missed due to weather or illness of the teacher will be rescheduled. Beginning Fall 2008, Tunes4Tykes will follow Zeeland Public Schools, which means that when the district is closed due to inclement weather, we will also cancel classes for the entire day. When inclement weather does not hit until the afternoon or evening, we will follow the district's decision on whether to cancel extracurricular activities that evening. We suggest that you watch the listings or check our website if the weather seems questionable. You may also call me at 218-1411 if you have questions. Classes that are canceled due to inclement weather will be rescheduled at the end of the semester. 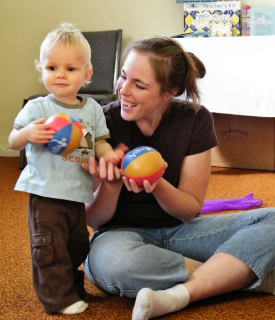 All of our classes involve activities down on the floor, as well as movement around the room. Comfortable clothing is highly recommended for both parents and children. We also ask that parents and children remove their shoes or boots before entering the classroom, in order to keep our floors as clean as possible for our infant and toddler students. Wearing a clean pair of socks is preferable, in order to keep our carpets as sanitary as possible. The exception to this is our infant students, for whom barefoot is best.